Madame Butterfly | Zonyxa. Unique and contemporary jewellery for Work. Love. Play. Marked by stunning translucent purple agate trapez stones that are like butterfly wings and provide a spectacular light show when held up to the light. They are presented on a rope of ice quartz balls with crystal cube and black onyx highlights. 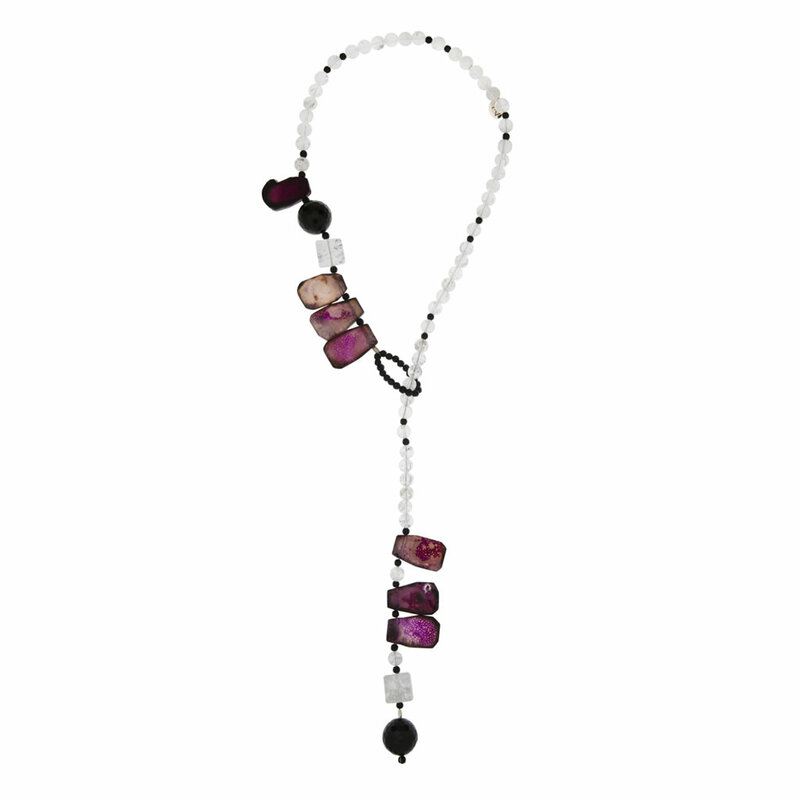 Wear as a long necklace or a chocker with a pendant – it’s adjustable depending on your outfit. Materials: Onyx, crystal, ice quartz and agate trapez.